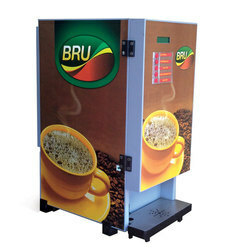 Our organization is instrumental in offering a wide gamut of Bru Vending Machines. We are offering 8 Option, 3 Option, 4 Option and 2 Option Bru Vending Machine, under this range. We are offering this range in various design and sizes to meet the distinctive requirements of our patrons. Owing to dimensional accuracy, flawlessness and compact construction, our range is highly acclaimed in the market. Chennai beverages are glad to inform that we are selling the 6 option second hand bru premix vending machine and tea coffee premix powder for theatres, IT Park, tea coffee stall, shops & trade centers in india. 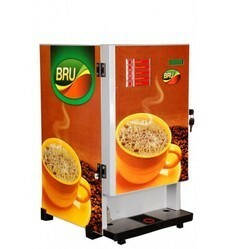 Our 6 option bru premix machine serve up to 10 cups per minute. 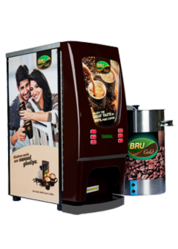 Bru premix vending machine provides a different choice of beverages like coffee, cardamom tea, lemon tea, masala tea, milk, soup etc. Highly well trained professional and smart specialized staff will be taking care to handle any breakdown of used bru premix vending machine. 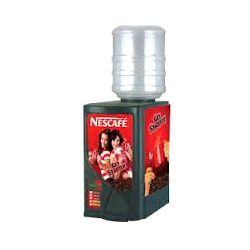 We are selling used 6 option bru premix vending machine at the best price in tamil nadu. Our 6 option vending machine can serve the distinctive choice of beverage like coffee, cardamom tea, lemon tea, masala tea, milk, soup. 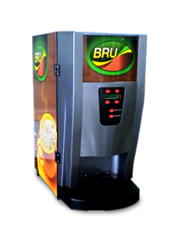 Also, we offer 6 option bru premix vending machine on a rental basis for corporate offices, canteen, cafe, institution, resort. Because of our vast experience, we have been successful in catering to the requirements of our esteemed clients by offering a qualitative range of 4 Option Bru Vending Machine. These 4 option bru vending machine are designed and developed making uses of qualitative raw-material sourced from the famed vendors of the market. We have carved a niche for ourselves in this domain by offering flawless range of 6 Option Bru Vending Machines. In compliance with the industry set quality parameters, all the products offered by us is made using optimum-grade raw-material and cutting-edge technologies from the vendor's end. Furthermore, prior to dispatch each product is stringently examined on various quality parameters to ensure high level of quality in all our products. Owing to the support of our expert vendors, we have been able to offer a wide gamut of 3 Option Bru Vending Machine. These machines are manufactured by the reputed vendors using superior grade quality raw material and latest tools so as to ensure flawless performance and efficiency. These are used for commercial and non-commercial purposes. 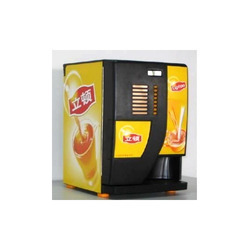 With the thorough knowledge of the varied aspects of the market, we have been able to provide the customers with a comprehensive assortment of 2 Option Bru Vending Machine. Being an client-centric organization, we are offering our entire range of this machines in various sizes, designs and custom-build models. Apart from this, prior to dispatch all the products are thoroughly examined on various quality parameters. Innovative boiler design (SS 304) ensures consistent higher end cup drink temperature above 82 deg centigrade. 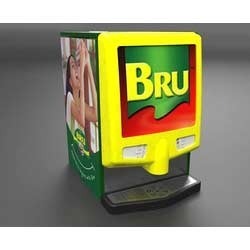 Looking for Bru Vending Machines ?